Greetings Initial D fans. Do you like LEGO? If you do, read on! How does this LEGO Ideas work? Well, users like Denil can submit their own idea of what LEGO should make next and if the idea gather 10,000 supporters, then it will get put forward to the review board where they decide if it gets to become a reality. 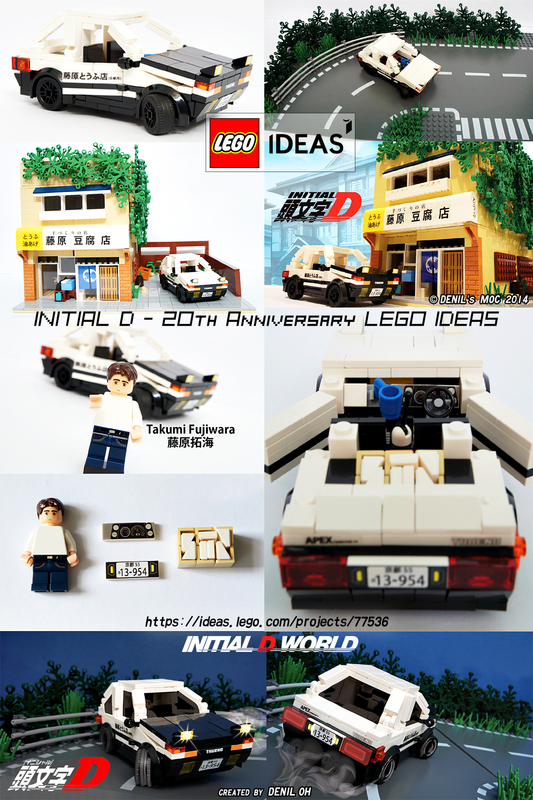 Help a fellow Initial D fans to reach his dream today by supporting him here: https://ideas.lego.com/projects/77536 (Click on the big Support button on the right) As of this posting, there are only 197 supporters. Let's get the word out there! We have one year to gather 9,800 supporters. We can do it!! Image size reduced, original size: 1200 x 1800. Click here to view the image in its original dimension. The game features an impressive lineup of cars from six different manufactures. 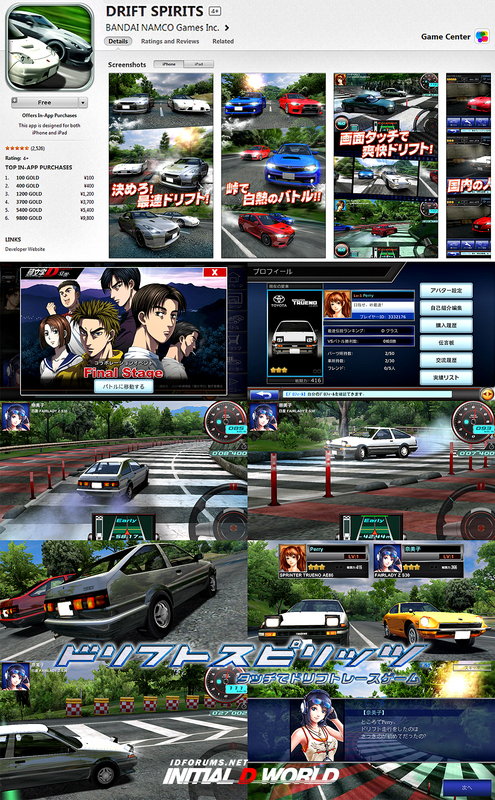 (Yes, AE86 is featured in this game, along with many other cars seen in Initial D.) Players can do story mode or VS mode and other interactive online mode. The reason why this game wasn't that well known before is because it is exclusively available in Japanese. There is no language option, so many die-hard Initial D fans who are not well versed in Japanese were intimidated to try it, not to mention you have to change the country/region for your App Store account to Japan before you can even download it. Besides the non-obligatory in-game token purchase, the game is completely free of charge for both iOS and Android. The graphics are unmatched by many other mobile racing games. The gameplay is however, entirely depend on your ability to understand Japanese. All the controls and on-screen instructions are in Japanese. I mean sure, you can whip out your dictionary and translate the meaning, but it takes the whole experience out of it. � iOS 5.1 and up for iPhone, iPad and iPod touch. � For iOS device, there are two methods. � For Android users, simply click on the link below. I went through the troubles to change my iPhone's country/region to Japan to download this game. I was not disappointed. The layouts and gameplays are both superb. It is what you would expect for a game that's attention to details. The images in this post are ACTUAL gameplay screenshots. Happy drifting! Image size reduced, original size: 1113 x 1800. Click here to view the image in its original dimension. 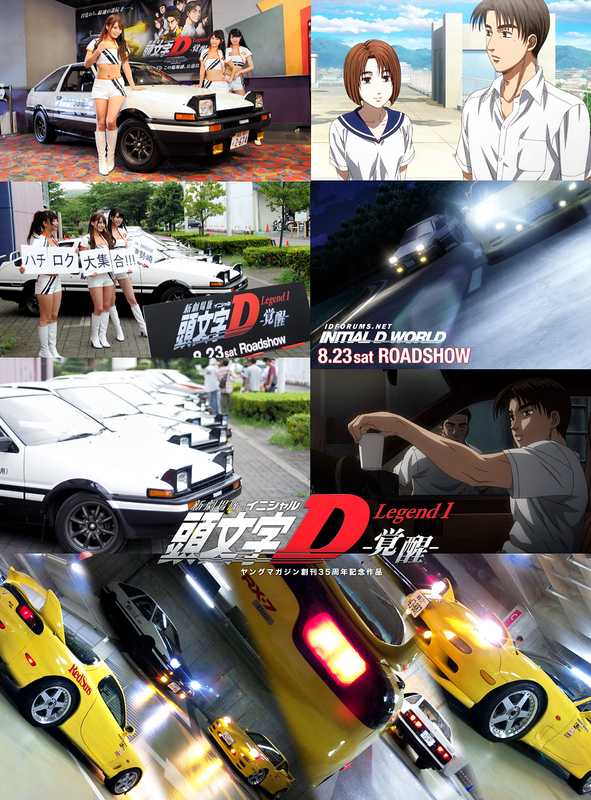 Still, Initial D fans seem to be happy with this re-adaptation of Initial D First Stage AE86 vs FD3S. We all know the voice actors were completely changed, but according to the people that went to watch it in theaters, the change didn't take much away from enjoying the experience. Tentatively named Legend2 -闘走- "Battle Run", this second movie will be based on the AE86 vs R32 race and it's expected to also have the same runtime as the first movie. Now, we are not exactly sure why Avex is dragging this on for no apparent reason other than prolonging the Initial D legacy. Perhaps, they don't want to say good bye to Initial D like many of us. But still, a year to wait for a 40 minutes new footage is rather a drag. I am sure true Initial D fans won't mind the wait though. Avex is holding a special event on October 4th, 2014 at 世田谷区民会館 (Setagaya Kumin Hall) It will feature most of the new voice actors for the movie in a Q&A panel. This move is mostly to get direct feedback from the fans. Check out the links below for details if you want to attend the event. Image size reduced, original size: 1000 x 699. Click here to view the image in its original dimension. 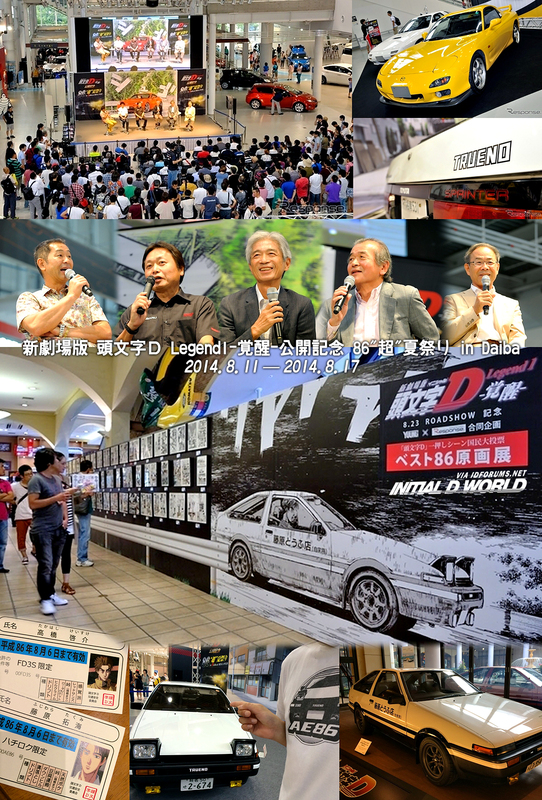 Did you go to the Initial D Legend 1 -Awakening- movie premiere yesterday? Here's a few things we heard according to some fans that went on the release date. The movie is only 62 minutes long. The last 20 minutes are... extras footage that shows behind the scenes / in the making of the movie. The actual movie is only a little longer than 40 minutes and it ends after the Takumi vs Keisuke match. Basically they condensed the first five episodes of First Stage into a 40-minute OVA. According to some of our members, the different voice actors didn't bother them that much, it's the length of the movie that made them feel cheated. The ticket price was roughly $13 USD, so they were expecting a little more. The quality of the movie was excellent though. The fans were satisfied with it mostly. Initial D Legend 1 will most likely be making its way through South East Asia. So far, we've confirmed it will be available in Hong Kong, Taiwan, Indonesia and Malaysia. It will be available in more countries soon. For those of us in the North American continent, we won't be so lucky. It will probably never made it to the silver screen here. So we'll most likely have to wait for proper DVD/Blu-ray release, which still doesn't have a confirmed release date. Stay tuned for more updates on Legend 1. Image size reduced, original size: 1330 x 1800. Click here to view the image in its original dimension. Initial D Second Stage reboot, confirmed! Image size reduced, original size: 833 x 625. Click here to view the image in its original dimension. Only three more days until the release date of Initial D Legend 1 -Awakening-, some fans have told us that they are also having a same-day release over in Taiwan in selected theaters. Based in Taiwan, 頭文字D FB Stage, a fanpage like ours, has been keeping the fans updated on the latest Initial D movie news. Check them out if you want to know where to watch the new Initial D movie in Taiwan. There has been no confirmation that the movie will get DVD/Blu-ray release. Please don't spread false information knowingly. Thank you! Image size reduced, original size: 1500 x 1696. Click here to view the image in its original dimension. 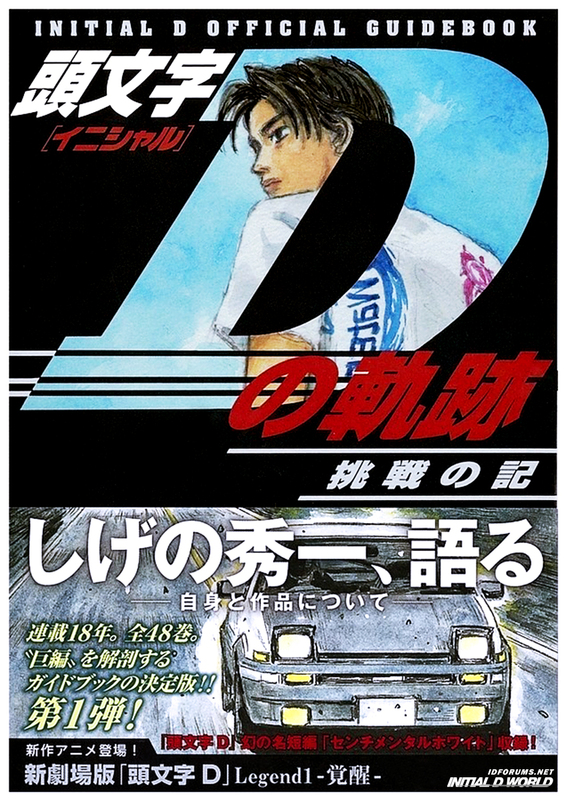 On 8/6 Day, 講談社 (Kodansha) published a 216-page book called「頭文字Dの軌跡 挑戦の記」"Initial D Official Guidebook: The Path of... Initial D, Chronicle of Challenges"
Within it, it contains a super detailed interview with the author Shuichi Shigeno that spans a whopping 64 pages, probably the longest interview Mr. Shigeno-san has ever done. In this interview, he talks about the experience and insight he gained from drawing the cars in Initial D. He talks about his inspiration, and how he got the idea from visiting 榛名山 (Mt. Haruna) in the very beginning, imagining himself as the protagonist Takumi Fujiwara. Shigeno-san gave very detailed description on some of the scenes, almost like a play-by-play commentary. The book also contains lots of remarks and commentary from the senior development in the Japanese automotive industry, they went in-depth on why some cars like FD3S were chosen for the series. The book also contains the Extra Edition: Impact Blue Sentimental White and promotional material, reviews of the Initial D New Movie Legend 1 -Awakening- that is coming out in theaters on August 23rd. For ￥980 ($9.55 USD), this seems like a great deal all in itself. It is certainly something to collect if you are a die-hard Initial D fans. Order it now if you haven't already done so! Image size reduced, original size: 848 x 1198. Click here to view the image in its original dimension. 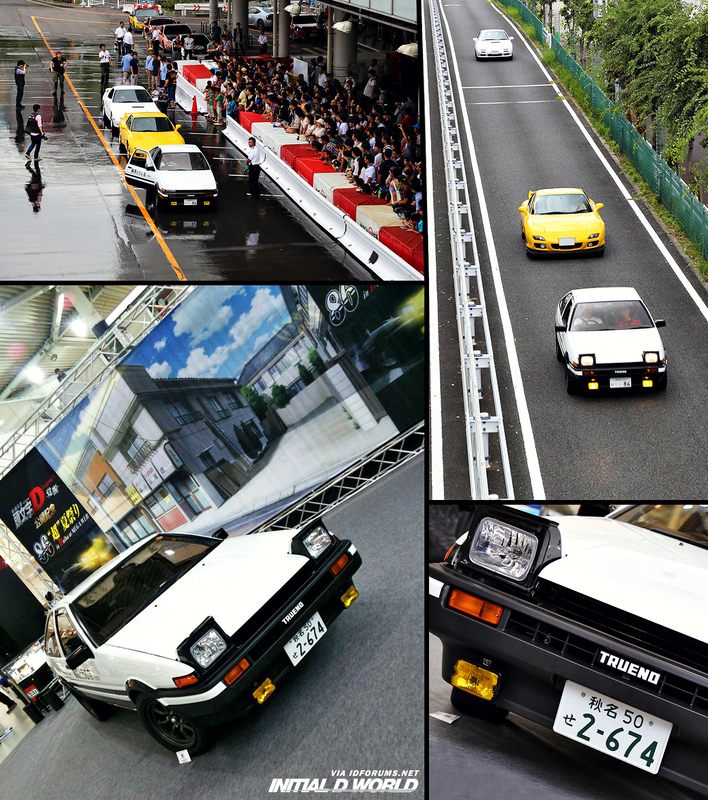 The Initial D Movie Legend 1 - 86 Super Summer Festival successfully wrapped up. It had a very impressive turnout. Photos from fans are literally pouring out on Japanese blogs. We've highlighted some good ones for you guys.... Check out the links below for more coverage of the event. With less than a week to go before the release date for the New Movie Legend 1 -Awakening-, promotional effort is kicking into high gear. We'll continue to cover the latest news on the new movie rest assured. Keep checking back! Image size reduced, original size: 1246 x 1840. Click here to view the image in its original dimension. The hype surrounding the new Initial D movie is turning white-hot as we get closer to the release date. (8.23) ＭＥＧＡＷＥＢ, a theme park based on cars that's located in the heart... of Tokyo Bay, is hosting a 7-day event (8.11~8.17) in Daiba, Japan. Not only is this a long event, the name of the event is also long. Are you ready for this? Whew, glad we get that covered. There will be Initial D original art exhibition at the event, as well as real showcase of AE86, FD & FC at the venue. 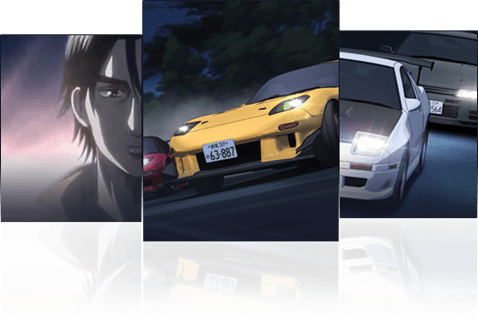 Attendees will get a chance to sit behind the wheel of the cars shown in Initial D. For the original art exhibition, there will be an event where the fans get to pick the 86 best scenes from the manga. 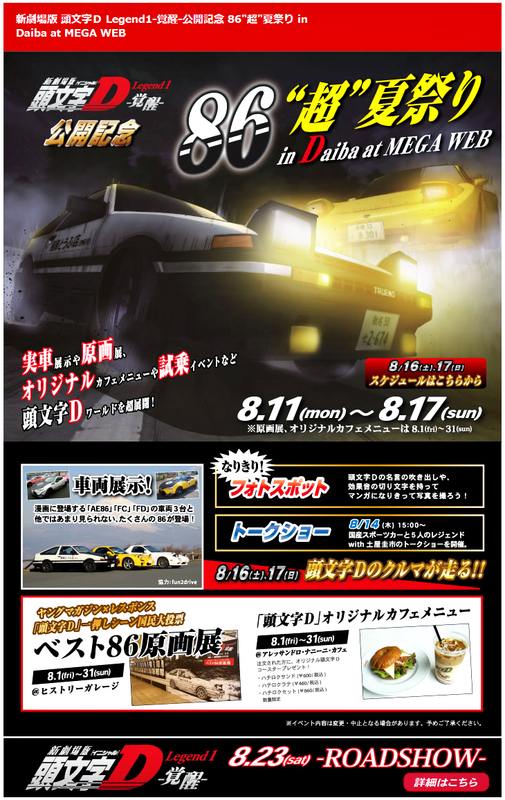 On August 14th, special guest Keiichi Tsuchiya and other developers for the movie will have a discussion panel that focus on 86, cars in general, as well as some behind the scenes of making the new Initial D movie. On the 16th and 17th, there will be professional drivers competing in those real cars. It will be a fun-filled week at MEGAWEB. If you happen to be in Japan, be sure to check it out! Use the resources link below for more information. Image size reduced, original size: 730 x 1156. Click here to view the image in its original dimension. 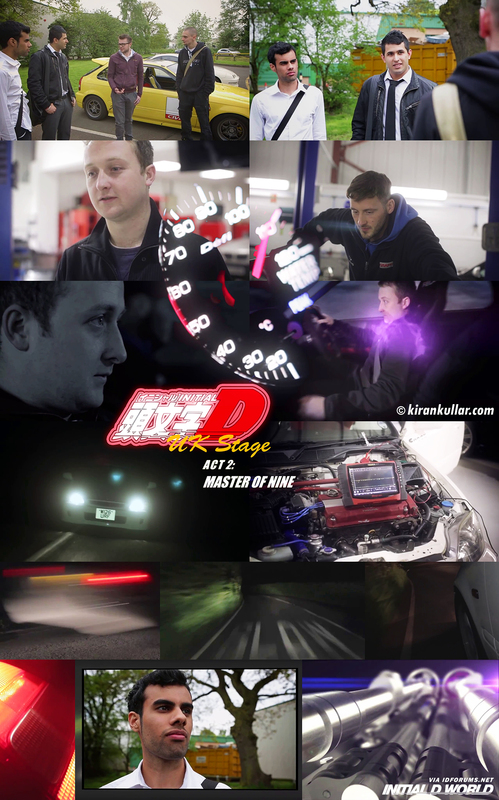 Some of you are already familiar with this fan-made series called Initial D Live Action Tribute: UK Stage. Recently, they released the third episode of the ongoing series that's inspired by Initial D. This episode took over... six months to make because Kiran Kullar's page, a group of enthusiastic Initial D fans located in the United Kingdom, believe that quality always comes first. And they have proved that time and time again and continue to surprise us with their videos. Please leave in the comments below your critical and constructive feedback after you've watched the episodes. We honestly think they have a great thing going on here. It can only get better and better as the story progress. Image size reduced, original size: 1280 x 2051. Click here to view the image in its original dimension. 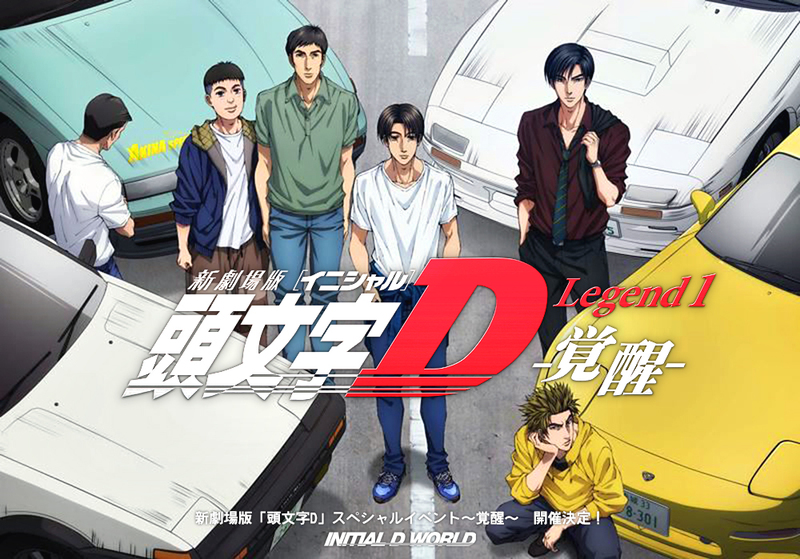 © Copyright 2000 — 2019 INITIAL D WORLD All rights reserved.